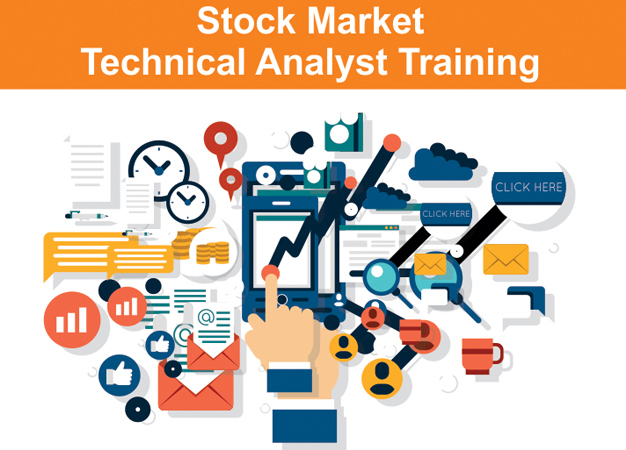 Industry-oriented certification Technical Analyst training course to furnish your career to kick-start/grow at MNCs/Non-MNCs Organization & corporate. The principles of the Dow Theory – Interpreting Trends and combining them with Support and Resistance levels. Volume, OBV and Open Interest. An in-depth study of Moving Averages and the role it plays in determining a trade. The multiple uses of Moving Averages for different time horizons of trades. How to identify market trends. Chart Patterns – Understanding the psychology behind a pattern and its formation. Interpretation of Chart patterns and the significance of volume while using patterns. Evolving a Trading strategy based on patterns. Setting Price Targets using Fibonacci. Trading with Futures & Options – with a basic study on the Risk, Reward and Timing relating to Derivative based trading approach. Day Trading – Exposure to real life situations using technical analysis with mechanical systems. Running scans / stock picking on a Real-time basis. Post completion of course having LIVE Market training, to feel the reel zest of stock market.